Asus Zenfone 2 was recently launched which got popular because of amazing specifications and affordable price . Asus Zenfone 2 comes in different variants . Asus Zenfone 2 comes with Intel Atom chipset , so a developer tried to Install Windows 7 on Asus Zenfone 2 and "wow" it works like charm ! 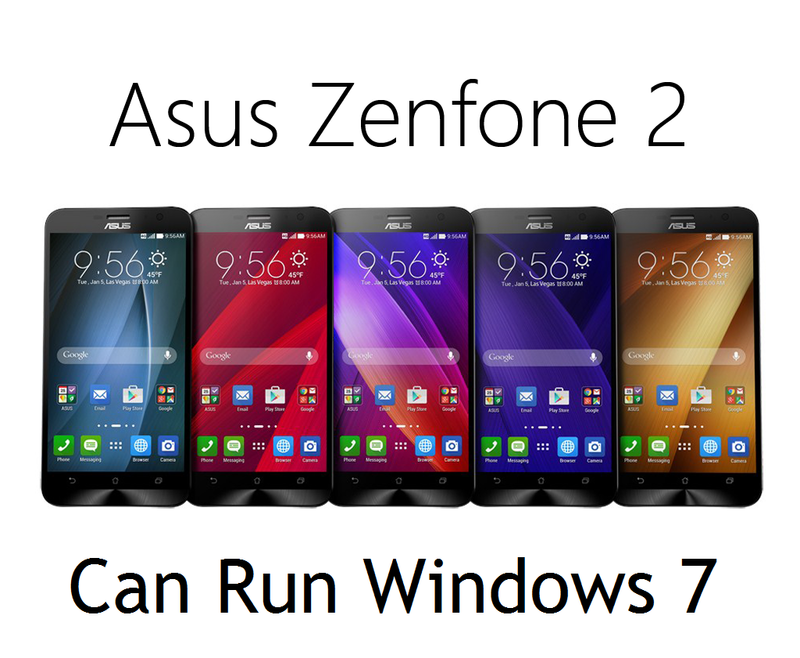 We know that Asus make Laptop also , but never thought that Asus phones can also run windows . Asus Zenfone 2 users can now easily Install Windows 7 on their Smartphones ! For now only Windows 7 is tested on the device but it might also Run Other versions of Windows too .